The Oireachtas Health Committee will hold three days of public hearings in January with its chairman Jerry Buttimer urging that there be a “respectful and tolerant” debate. 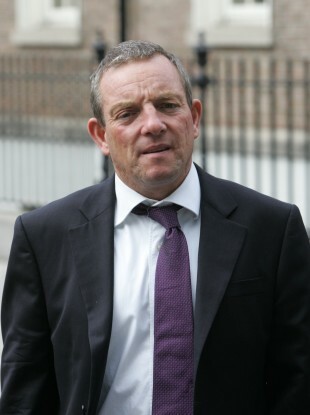 THE CHAIRMAN OF the Oireachtas Health Committee, Jerry Buttimer, has said that he hopes that the group will be able to report to government on the information it gathers on legislating for the X Case by the end of next month. The committee will hear evidence from medical and legal personnel as well as churches and advocacy groups on the 8, 9 and 10 January following the decision by the government to address the Supreme Court ruling in the X Case on abortion. The meetings will be aimed at gathering information to assist the government in forming the heads of the bill which will then likely return to the committee for further consideration in the spring. The committee has reached out to various interest groups in the last few days and expects to finalise attendees and the format of the hearings in the first few days of the New Year. He said it was important that members of the Oireachtas “listen and engage” in the process and said that during meetings with committee members this week there was a “strong consensus” on the need to gather information. The Fine Gael TD pointed out that the hearings were not about reviewing the government’s decision or debating the Supreme Court ruling in the X Case, which established a right to an abortion in circumstances where there is a risk to the life of a woman, including from suicide. “I think it’s an opportunity to engage in a debate that is important. It’s has been for 20 years put in abeyance,” he said. Buttimer said that the committee could seek “international expertise” if needed and added that it would not be making recommendations to government but reporting what it had heard during the course of its public hearings. “There are people with divergent views, which is their entitlement but we have to be respectful and tolerant of each other. Nothing will be gained from a street brawl in a public committee hearing,” he added. Email “Committee hopes to report to government on X Case law by end of January ”. Feedback on “Committee hopes to report to government on X Case law by end of January ”.